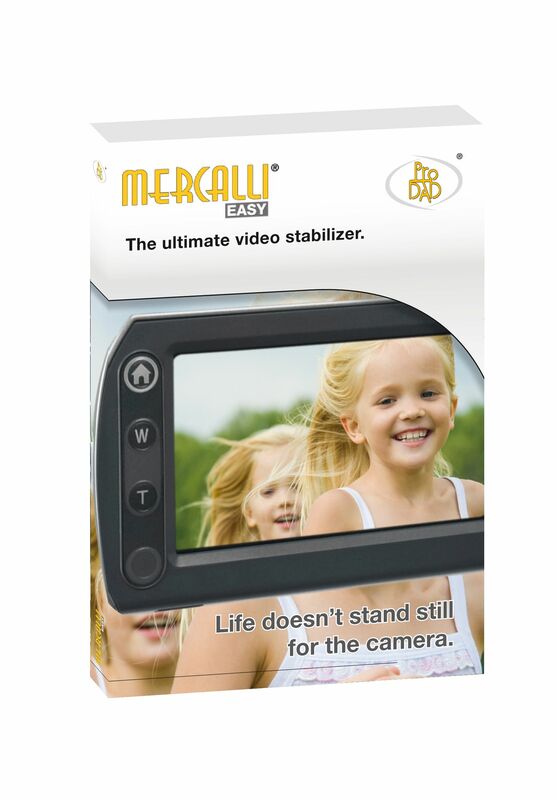 Mercalli Easy makes it a snap to stabilize shaky video. Just drag and drop a video into the app, and preview how it will look with a “before and after” comparison. When you like the changes you’ve made, Mercalli Easy does the rest with a single click to render, export and save. In addition to shaky video correction, Mercalli Easy allows you to rotate, trim edit and even fix annoying rolling-shutter distortions. Fixing video like a pro is easy! Turn shaky videos into works of art. Right now. Focus on capturing the action — we can fix it later. Save in popular file formats. Between 1884 and 1906, Italian volcanologist Guiseppe Mercalli, invented the Mercalli Scale to measure the intensity of an earthquake, based on people’s reactions to it. That’s where the name of this application comes from. Like the Mercalli scale, this application also deals with shaking, but of the videos not of the tectonic plates. Mercalli EASY SAL 2.0 is an easy-to-use application, designed to help you stabilize your shaky videos, make them less distorted, and make them presentable by improvements to the video. The installer size is ~28MB and the installation process is simple and straightforward, taking no time at all to complete. Before the installation process starts, it asks you to enter the license code that you have for the application. It is required to install the full version of the application. Once done, you can launch the application, drop a video in it, and get going. The users are presented with a minimalistic GUI upfront, it only shows a button to add video that opens up the file browser, and there’s and area in the middle where you can drag and drop the video files to add them quickly. As soon as a video is added, it starts analyzing and fixing it automatically. While analyzing, it shows graphs that are real-time analysis of different aspects of video like horizontal/vertical pan shot, roll, zoom, and horizontal/vertical tilt. You can keep track of the process with the process bar under. Once done, it shows the output, which can be viewed in single window, or split window alongside with the unprocessed video, so you can figure out how the application has improves your video. With the time line at the bottom, you can choose the section of the video you want to process and also skip to different durations in the video. You can also rotate you video to any direction you want, and the counter on the bottom right shows the duration of the video while it’s playing. Once, you are satisfied with the processed video, you can render it. You can choose the format, choose profile to be used for video processing and also the output folder. – Simple and straightforward UI that makes the whole process easy. – Supports Drag and drop of videos. – Fixes rolling-shutter distortion automatically, it can be disabled too if needed. – Real-time preview and comparison with the original video. – Three output qualities: Low, Good, and High. – Comes with help documentations. – Zoomed and cropped too much of the video edged in some cases. – Editing tools are limited. – Takes a lot of time to process larger videos. Mercalli EASY SAL 2.0 can be really useful and helpful for people who shoot a lot of videos and want to get rid of shakiness from their videos. It’s a straightforward application with limited editing capabilities. If it included a few more editing features, it can actually be a great choice for a post-video processing.